To understand the full import of Mormon 7-9, we hark back to that poignant picture of a wounded and anguished Mormon standing atop the Hill Cumorah surveying the desolate scene before him. In his view was the wreckage of the Nephite civilization symbolized by fallen, bloody swords and lifeless corpses who had once been the cream of Nephite civilization. Among the fallen were women and children, the hope of tomorrow, and Mormon lamented the sorry waste. “O ye fair ones, how could ye have departed from the ways of the Lord! O ye fair ones, how could ye have rejected that Jesus, who stood with open arms to receive you!” (Mormon 6:17). Yet for all the desolation of battle, the Nephite civilization had ceased to exist long before Cumorah. Hugh Nibley said, “Mormon and Moroni supply the epilogue to the Book of Mormon, the son drawing freely on his father’s notes and letters. The picture that these two paint of their world, which in their minds has significant resemblance to our own, is one of unrelieved gloom. The situation is unbelievably bad and, in view of the way things are going, quite without hope. The scenes of horror and violence, culminating in the sickening escalation of atrocities by Lamanties and Nephites in the 9th chapter of Mormon, need no news photographs to make their message convincing to the modern world. 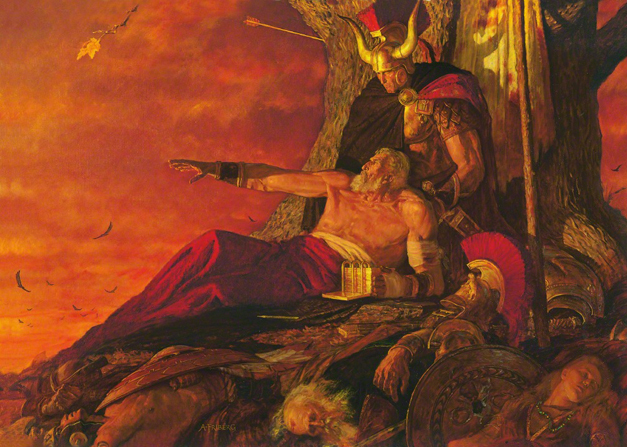 The Nephites, like the great heroes of tragedy-Oedipus, Macbeth, Achilles-as they approach their end, are hopelessly trapped by a desperate mentality in which the suppressed awareness of their own ungovernable hatred of others’…they have lost their love, one towards another; and they thirst after blood and revenge continually” (Moroni 9:5). Their awful guilt leaps out in their instant resentment of any criticism of themselves: “…when I speak the word of God with sharpness they tremble and anger against me (Moroni 9:4). They have reached that point of suicidal defiance which the Greeks called Ate, the point of no return, when the sinner with a sort of fatal fascination does everything that is most calculated to hasten his own removal from the scene-he is finished, and now all that remains is to get him out of the way: “O my beloved son, how can a people like this, that are without civilization…expect that God will stay his hand…?’ (Moroni 9:11,14). “Nephite civilization was thus not extinguished at Cumorah. It had already ceased to exist for some time before the final house-cleaning. War had become the order of the day,’ and every heart was hardened.’ (Mormon 4:11), with the military requisitioning the necessities of life and leaving the non-combatants ‘to faint by the way and die.’ (Moroni 9:16) “O the depravity of my people! cries Mormon, and he tells us in what this depravity consists: ‘They are without order and without mercy…they have become strong in their perversion; and they are alike brutal, sparing none neither young nor old,…and the suffering of our women and children upon all the face of this land doth exceed everything…thou knowest that they are without principle and past feeling…I cannot recommend them unto God lest he should smite me,’ (Moroni 9:18-21). “Here then is the real calamity that befell the Nephites in all its tragic horror–and there is no mention whatever of enemy action or of anyone belonging to the wrong party: the ultimate catastrophe is not that people are struck down, but they should be found in any circumstances whatever ‘without order and without mercy…without principle and past feeling.” (Hugh Nibley, Since Cumorah, pp. 399-400). The Book of Mormon student manual makes this comment on Ate. “The point of Ate (pronounced ah-tay intrigued the Greeks, and a number their playwrights explored its implications through the medium of drama. In such plays, the audience was allowed to see the consequences and forces brought into play as a result of the choices made by the hero. As the play progressed, the hero approached to moment of Ate. At any time before that critical point he could, so to speak, repent. He could turn around, back out or undo his crisis, albeit with increasing difficulty. But finally the critical moment came. If he chose right, there was hope. But if he chose wrong–and usually, because of the weight of so many poor decisions in the past, he did–there was nothing the audience could do but gloomily watch him deliberately destroy himself through the forces he had been instrumental in creating. Mormon’s last words to this remnant are a testimony. The great question that so many of the prophets asked in the Book of Mormon was what was to become of their people. They were of the House of Israel, a branch that had grown over a wall, living apart from the nucleus of Israel in the Near East. Did God still remember his covenants to them? Were they still a part of his fold? The answer the Lord repeatedly gives is that he has not forgotten them. They will one day again come to a knowledge of who they are and they are among the people of the first covenant. Mormon’s last words to them are that they must know that they are part of the House of Israel, know that they must repent, know that they must come to a knowledge of their fathers, and most important of all that they must believe in the Son of God. He has spent a lifetime poring over and compiling the record that will bring this “remnant of Jacob” to the very knowledge he pleads with them to have. Moroni takes up his father’s record to write a little more, because there is little room left on the plates “and ore I have none, for I am alone.” Somehow this condition changes, ore must come available to him to make more plates, because after he inscribes Mormon 8, he is able to go on to abridge the plates of Ether and add some additional information in Moroni. Nonetheless in chapter 8, we see a Moroni who is alone and will be alone until 421 A.D. Here is the picture of the lone hero, a prophet who can only speak with God, who has watched with sorry heart all those he has loved slaughtered by the Lamanites. 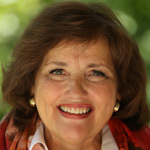 “I even remain alone to write the sad tale of the destruction of my people,” (Mormon 8:3) he says. He tells us that those who had escaped the battle and escaped into the south country were hunted like prey by the Lamanites and murdered one by one. Mormon has met this same end. “My father hath been slain in battle, and all my kinsfolk, and I have not friends nor whither to go; and how long the Lord will suffer that I may live I know not.” Here is more indication of the venomous feelings of enmity harbored by the warriors. Winning the war was not enough. The thirst was for blood. All that are left on the land are Lamanites and robbers. Even the Lord’s disciples, the three Nephites who had been allowed to tarry, had been taken from this wicked scene. What Moroni clings to is his understanding of the importance of the plates he tends. It is the message on these plates that has the power to bring people out of the darkness into the light-and Moroni understands the depth of that darkness far more than we who have not lived through the scenes that were common to him. He has seen where depravity and heedlessness ends, and he has a plea for those that will have this record in the future. He wants us to learn from their folly. The record has been carefully kept over this millennia in the promised land for us. The message is clear: it is a warning about the peril of turning from the Lord Jesus Christ. As if we in this modern world need two witnesses–it is the story of not one but two civilizations that were utterly destroyed when they turned from that God who made them. This is a major hint for us, a warning without cushion to make us comfortable..
Moroni’s testimony is that the story of his people, which included the magnificent visit from the Lord and their trampling his message underfoot, will come forth in a time that desperately needed it. Verses 27 through 41 of chapter 8 describe specifically the conditions of that time and they sound hauntingly familiar. In fact, the conditions described become more familiar each day. To name a few, “the blood of saints shall cry unto the Lord, because of secret combinations and the works of darkness…the power of God shall be denied…fires, tempests, and vapors of smokes in foreign lands…wars, rumors of wars, and earthquakes in divers places… pollutions… murders… robbing…lying.” The list goes on. Moroni has seen the conditions that led to the Nephite demise, and he has seen our day, “Behold, I speak unto you as if ye were present, and yet ye are not. But behold Jesus Christ hath shown you unto me, and I know your doing.” The resonances between the two are striking and the warning is clear. He wants it to be clear. What can we do? Read the Book of Mormon; absorb and understand its lessons; see the parallels in our own society; repent. “O then ye unbelieving, turn ye unto the Lord; cry mightily unto the Father in the name of Jesus, that perhaps ye may be found spotless. Moroni reminds us who this God is that we must turn to. He is a God of miracles who is the same yesterday, today, and forever. He does not change or vary, thus what he has spoken, he has spoken. It will be. “And now, behold, who can stand against the works of the Lord? Who can deny his sayings? Who will rise up against the almighty power of the Lord? Who will despise the children of Christ?…O then despise not, and wonder not, but hearken unto the words of the Lord, and ask the Father in the name of Jesus for what things soever ye shall stand in need. Doubt not, but be believing, and begin as in times of old and come unto the Lord with all your heart, and work out your own salvation with fear and trembling before him” (Mormon 9:26, 27). Moroni’s heartfelt plea, delivered from a man who has watched everyone he loves slaughtered, is “that ye may learn to be more wise than we have been” (Mormon 9:31).